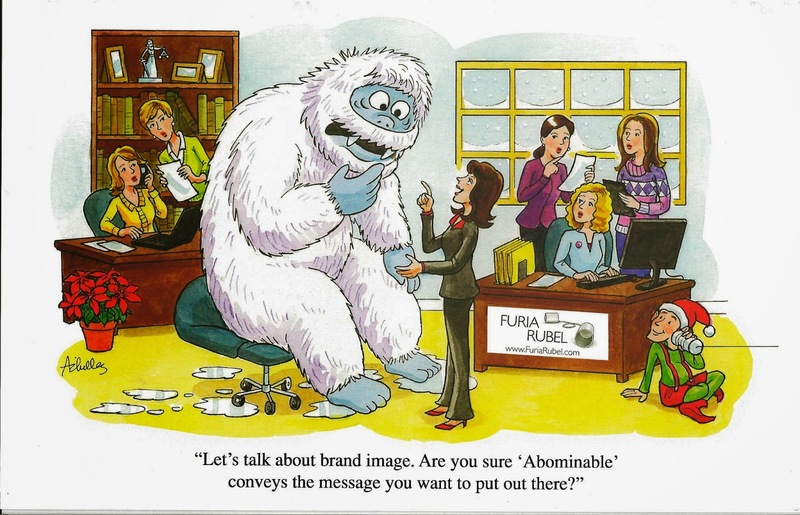 The PR Lawyer: The Well-Crafted Holiday Greeting – Marketing Tool, Holiday Message or Both? The Well-Crafted Holiday Greeting – Marketing Tool, Holiday Message or Both? It’s that time of year again; the time when retailers start putting out holiday decorations and pushing us into the season faster than we may care to travel. If you have a difficult time looking at Halloween in one aisle and Christmas in the next when temperatures are still in the 80s, you are not alone. However, just as in retail, the marketing and public relations world must plan ahead. The calendar may say "fall," but it's time to start thinking "Jingle Bells" and hot cocoa - and examining what your approach to the holidays can do for your business. A holiday card can do much more for a business than simply convey the best wishes of the season. Proper preparation and planning can transform a business holiday greeting card into a subtle but effective marketing tool that will reap a return on the investment all year long. A holiday greeting gives a company the opportunity to thank contacts for a year of good business and wish them a new year filled with prosperity. It is also a chance to reinforce company brand to clients, vendors, referral sources, friends or potential clients. The first thing to consider is timing a campaign so cards arrive in contacts' mailboxes as soon as possible after Thanksgiving. You want your card to be the first one they receive - which is likely to create a stronger impression and allow for a longer display time. That makes it even more important to choose a card design early. Drafting animated or custom holiday cards takes planning and coordination, but the results are well worth the time and effort. A carefully designed greeting can convey a message of holiday cheer and support an overall corporate brand. An article by Angela Bright for TalentZoo.com explains this theory well and gives tips on how to craft a greeting that will set a company apart. For some, the idea of a printed card is an environmental taboo. In that case, a digital greeting could be a good alternative. A Mashable.com article by Kate Freeman includes an infographic showing the effect of printed holiday cards on the environment and how switching to electronic delivery can be more environmentally friendly. 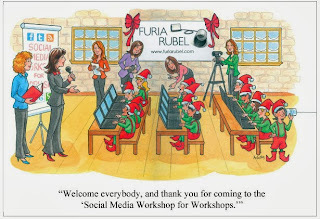 Here at Furia Rubel, we start planning for the holidays in late September, brainstorming card concepts, updating contact lists and discussing gift-giving ideas. We also work with our clients to help them plan their own holiday cards and gifts for their clients. So when you walk into a store for office or home supplies and see the giant, light-up lawn decorations, ask yourself whether you've planned for your business holiday greetings. It’s really not too early to start. It should definitely be a combination of both. It doesn't need to be a big offer or anything, just slip something in and be like "hopefully this offer is something you'd be interested this holiday season" and leave it at that. I send postcards throughout the year with hand written messages. I am able to do this as a small business. I've chosen colorful photographs on glossy 5 x 8 size postcards. My hope is that my clients and prospects will hang the postcard year-round.